Did You Know? is a thirty second commercial series created by the staff of the Information Technology Division highlighting quick and easy tasks that can be done on the Parish's website: tpcg.org. Viewing 1 to 6 of 6 results. 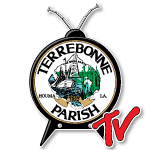 Description: Did you know you can promote your community event on the Community Calendar on Terrebonne Parish Consolidated Government's Website (tpcg.org)? Description: Did you know you can report potholes, missing traffic signs, and needed curb/shoulder repairs via Terrebonne Parish Consolidated Government's Website (tpcg.org)? Description: Having problems with Mosquito? It is real simple to report the problem on the Terrebonne Parish Consolidated Government's Website (tpcg.org). Description: Did you know you can find your new best friend via Terrebonne Parish Consolidated Government's Website (tpcg.org)? Description: Did you know you can easily report street light outages via Terrebonne Parish Consolidated Government's Website (tpcg.org)?